LADIES NEW MEMBER 2019 MASTERS OFFER. 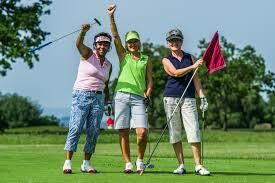 Ladies are you looking for a new golf club. Are you looking to make new friends or just looking for a new challenge? Then Kilbirnie Place is the place to be. From now until the US MASTERS Sunday April 14th. You can become a member of Kilbirnie Place Golf Club for only £250.